It is with great pleasure that I present to you Jersey Sport’s report for 2018, which sets out some of our key achievements for the year. Jersey Sport was formally set up 18 months ago, as the independent body tasked with championing sport and active living in the island, and we are immensely proud of the way in which our organisation has already made an impact on island life. Our Chief Executive Officer, Catriona McAllister, has spent much of the year consulting on, crafting, shaping and refining the draft Inspiring an Active Jersey strategy, which we anticipate will be considered by the States of Jersey. This has been a huge task, spread over many months, and we believe it will define the island’s work in this area for decades to come. Our coaches continue to inspire children, both in school and out, building on the good work previously undertaken as part of the States’ Sports Development department. Meanwhile, our highly-trained Active Referral instructors have made a real difference to people’s lives on a daily basis, helping them to get back on their feet after operations or illness. It has also been brilliant to see the Appleby Active Adults programme introduced, with walking football at Springfield stadium a particular success story, bringing people together, not only to keep fit, but also to make new friends. Jersey Sport has been administering the Travel Grants scheme, on behalf of the States, for the first time in 2018. As well as providing financial help, it has also been pleasing to see the ongoing support that we have been able to offer sports clubs and associations with training in areas such as governance, safeguarding and first aid. In addition to the delivery parts of our remit, we were also tasked, from the very beginning, with being the independent voice of sport – speaking up for it, challenging the Government when needed, and searching out more funding and support. Our #VoteForSport campaign in the run-up up to the 2018 Election was successful in ensuring that sport and active living became a very real campaign issue in the build-up to polling day. In closing, I would like to thank all of the staff and board members of Jersey Sport for their ongoing efforts, dedication and achievements. I would also like to take this opportunity to thank all the sponsors and funders, including the States of Jersey, who have supported us so strongly during 2018. 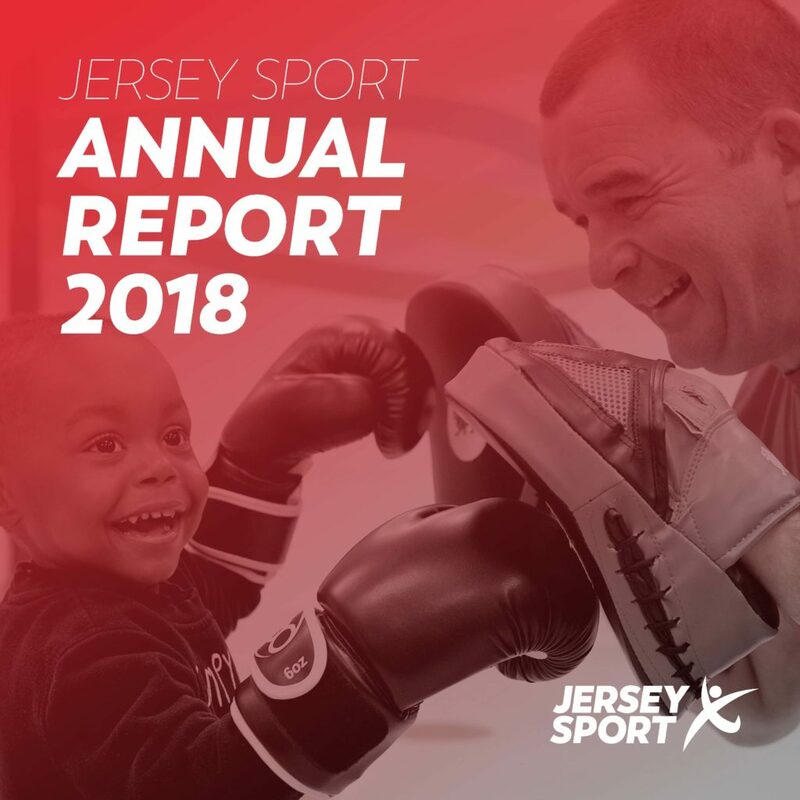 The statistics within this annual report exemplify a fantastic first full calendar year for Jersey Sport, and we look forward to continued development and success in 2019.